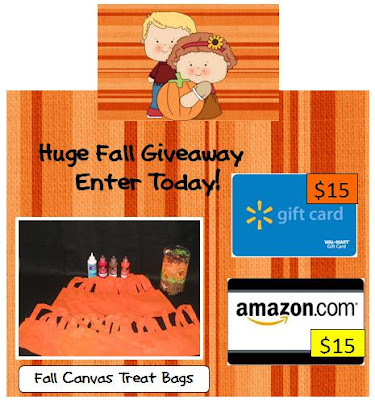 Blog Hoppin': Fall Treat Bags! Hey all!! 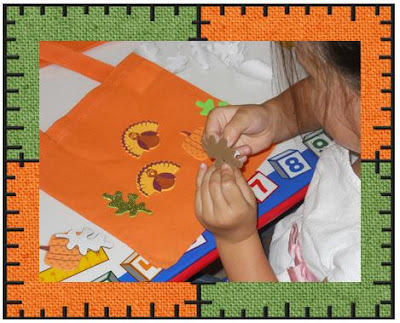 This is Stacy again from Mrs. Johnson's First Grade sharing a cute treat bag activity I do with my students (and daughter) to celebrate Fall and to take home party favors after our festival activites. I am also giving away 21 of these bags with decorations for you to make with your students! Click the link at the bottom to find out more. 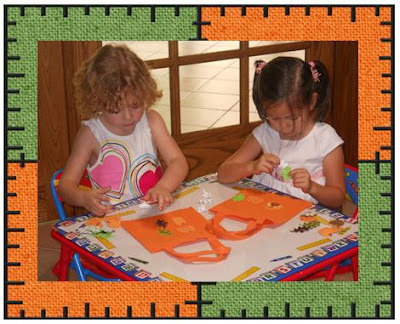 My 4 year old daughter (Blondie on the left) and her cousin (who are 3 days apart in age) really loved this activity! I was drawn to the craft stores and found these adorable canvas bags and cute fall foam stickers. They peeled the stickers and I helped them put some extra fabric glue on before placing them on the bags. I recommend soda bottle lids to put glue in for students to use. I also put a sheet of wax paper inside the bag to keep the bag from sticking together. 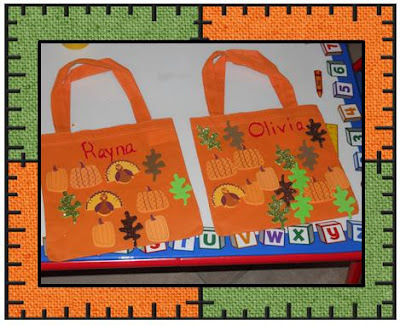 When they finished, I wrote their names on them with colored fabric glue. Just click the link below to find out more about my giveaway!